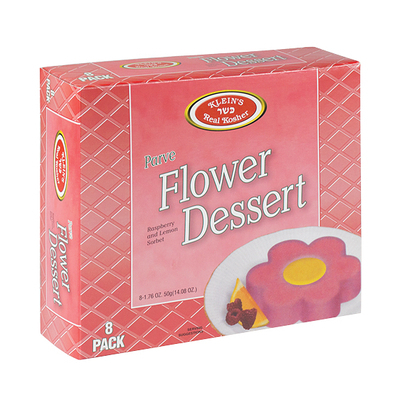 A luscious garden of colorful flowers create a truly elegant dessert. Beautifully boxed 8 in a pack, whether you’re hosting or giving to a hostess as a gift! Ingredients: Water, cane sugar, glucose, coconut fat, mono & diglycerides, carboxy methyl celollose, natural flavor, red beet, beta carotene, red #40.